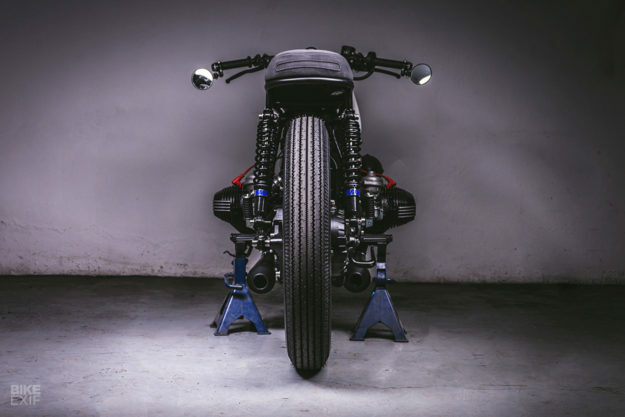 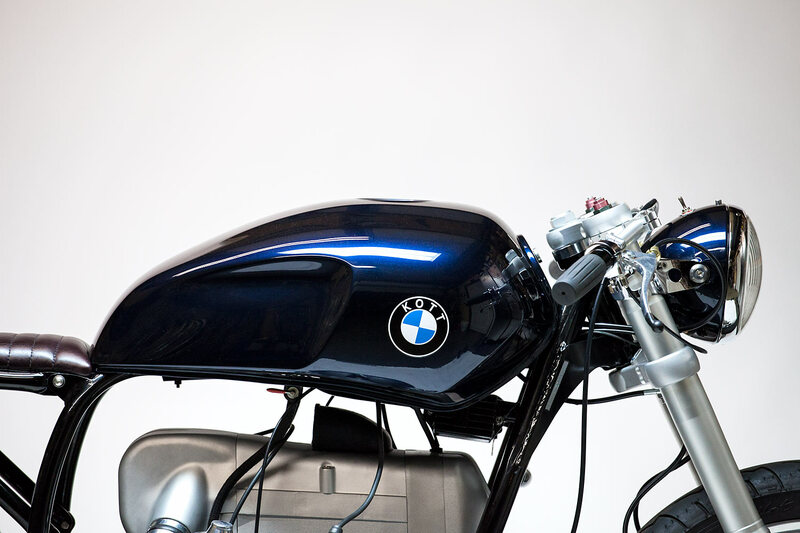 Rear end BMW R100RS. 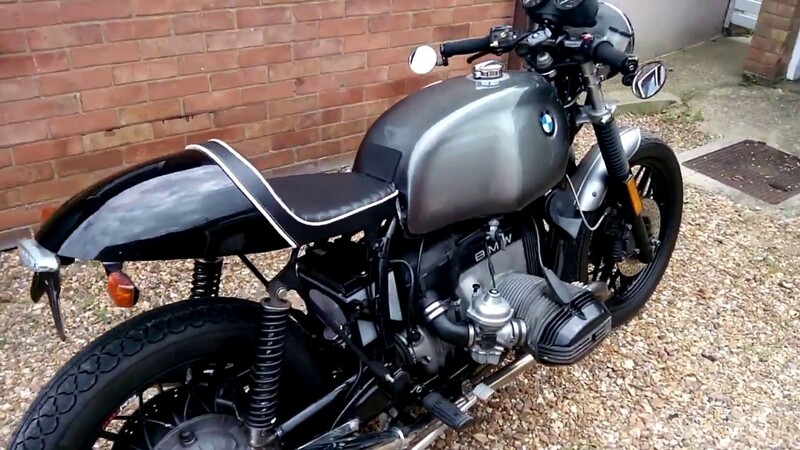 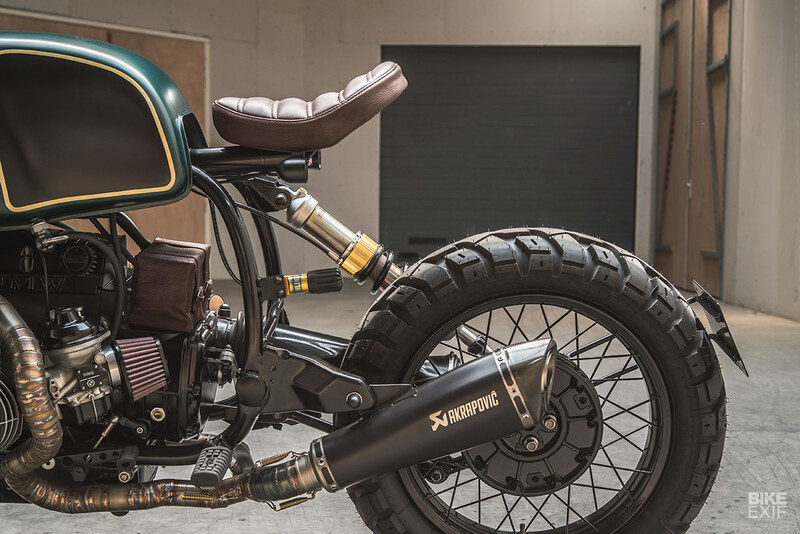 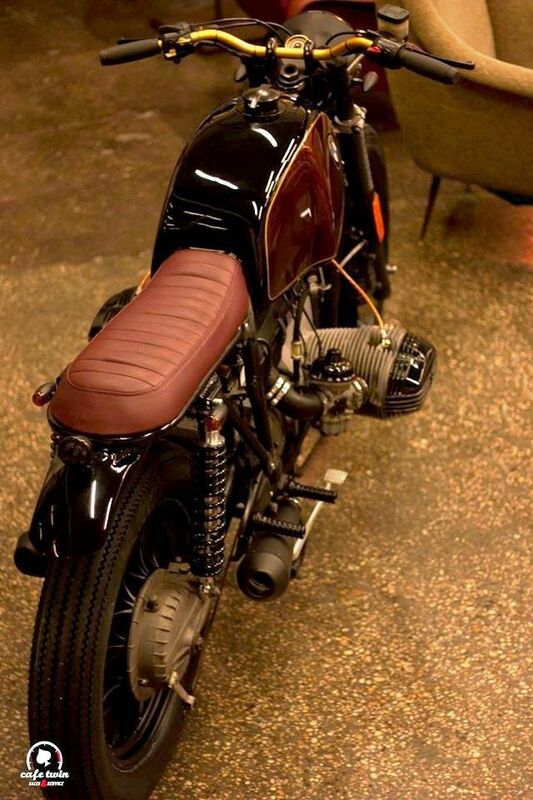 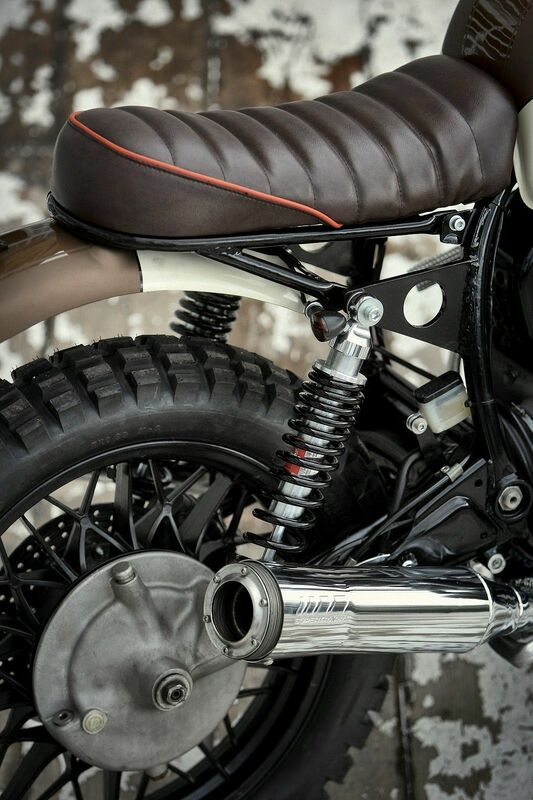 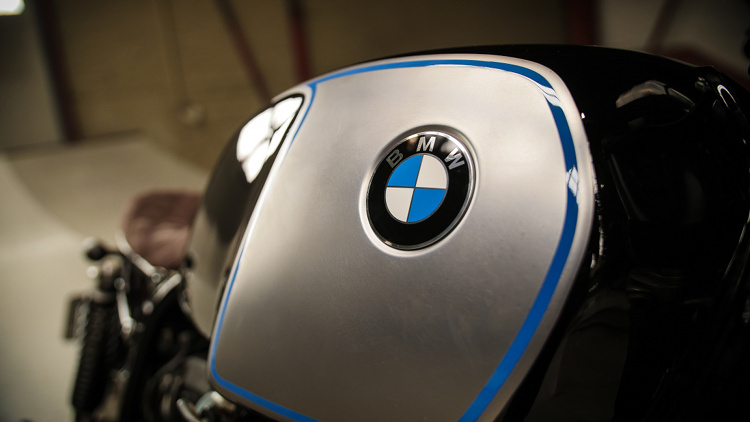 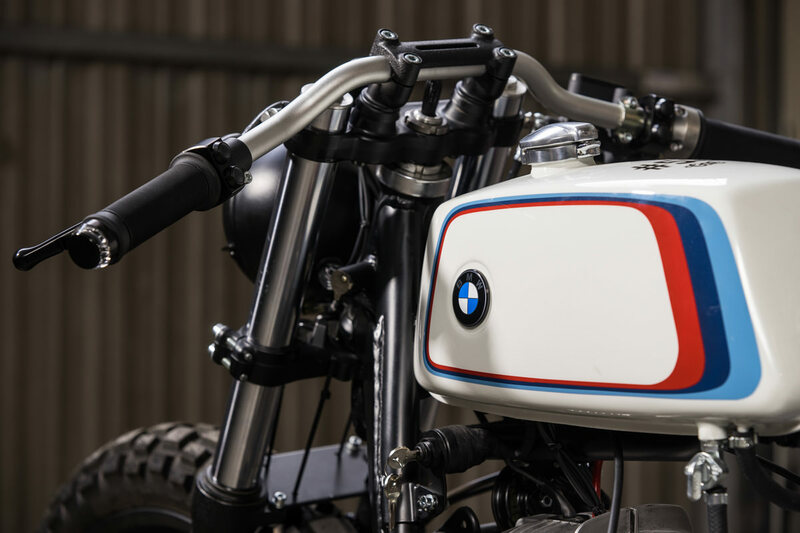 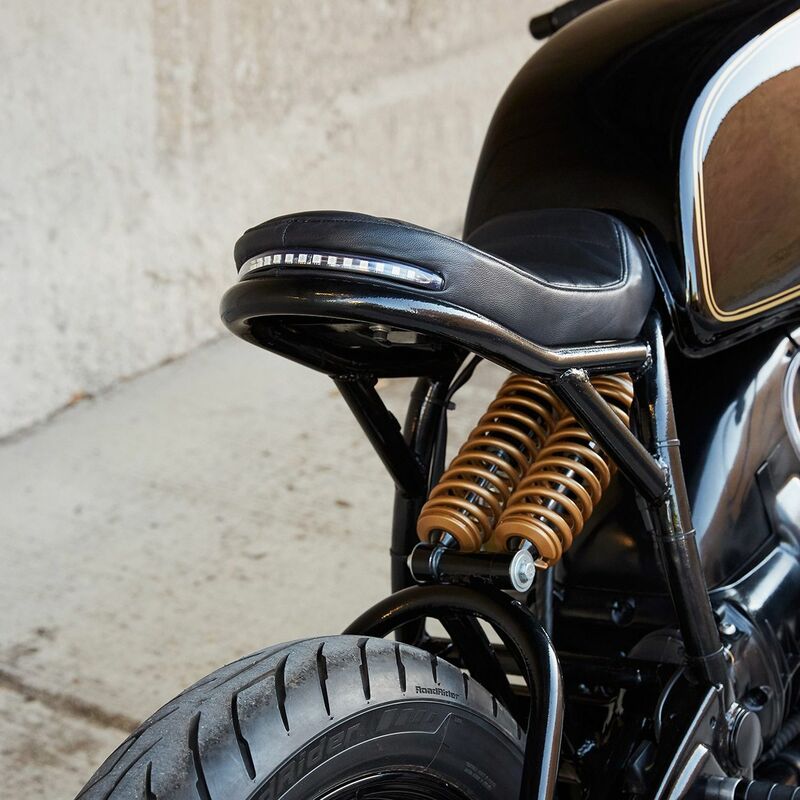 Caferacer custom motorcycle seat for BMW R100RS. 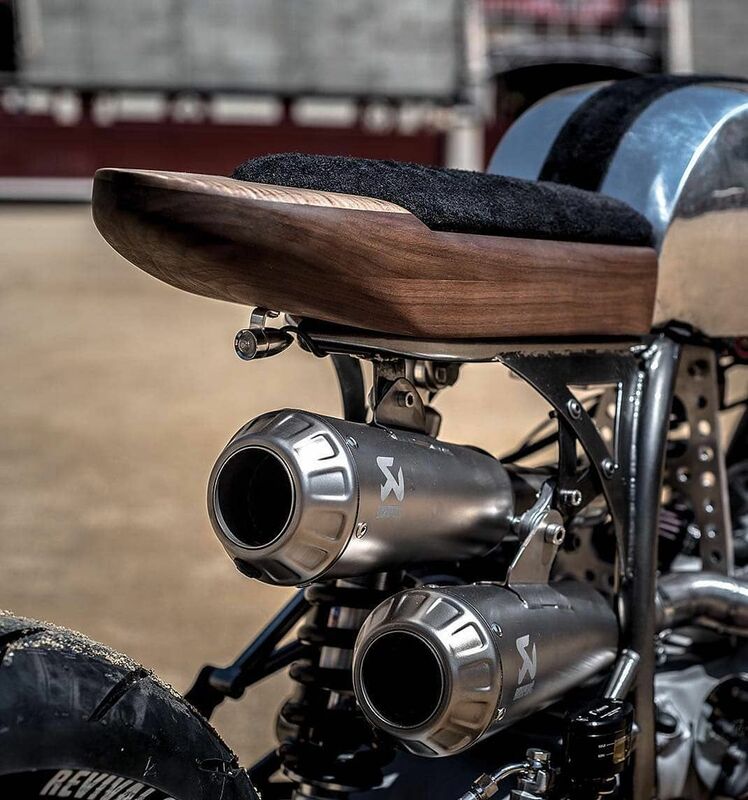 Pipes too. 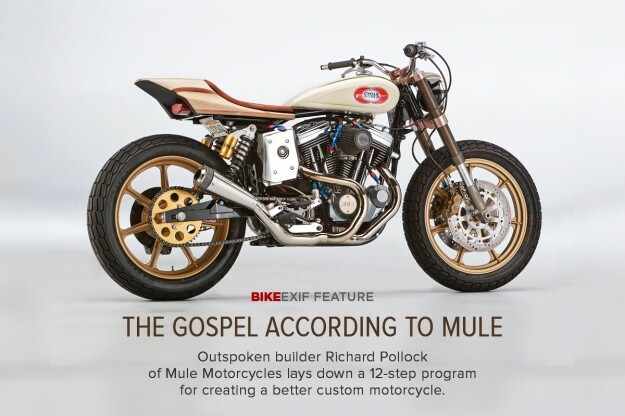 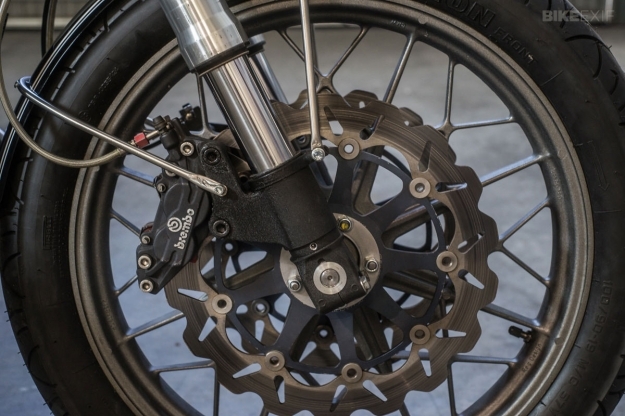 Custom rear set footpegs were milled on the NCT CNC and a pair of black Ohlins shocks went on the rear. 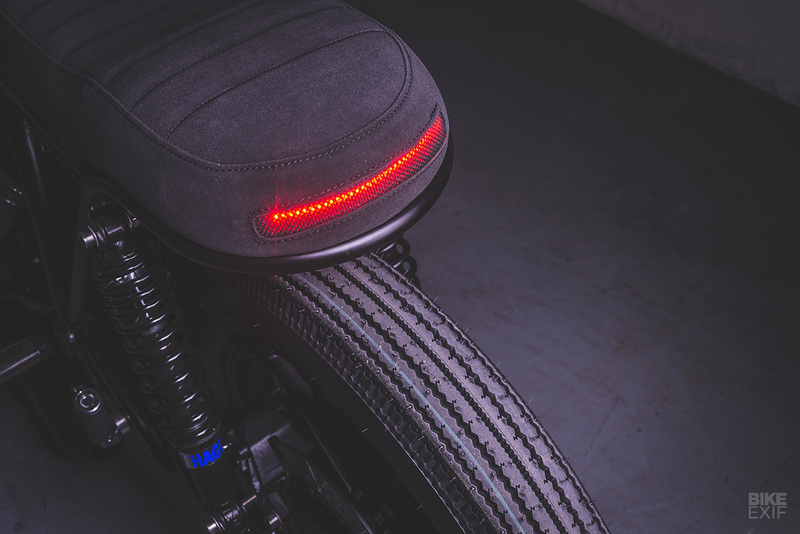 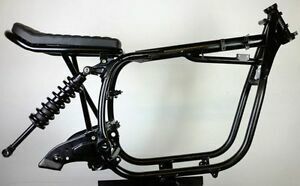 So we now have clip-on bars and Oshmo rear-sets designed to keep the rider low, while the seat hugs them close to the bike. 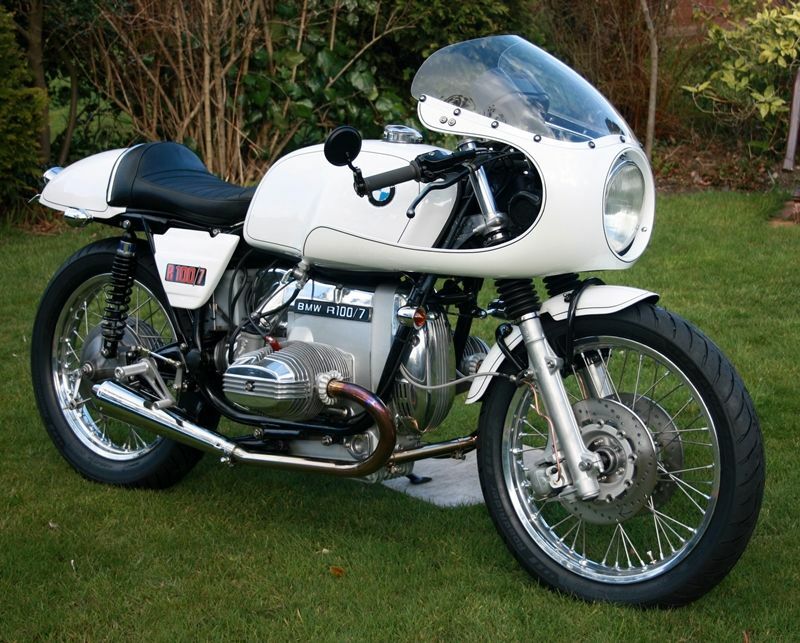 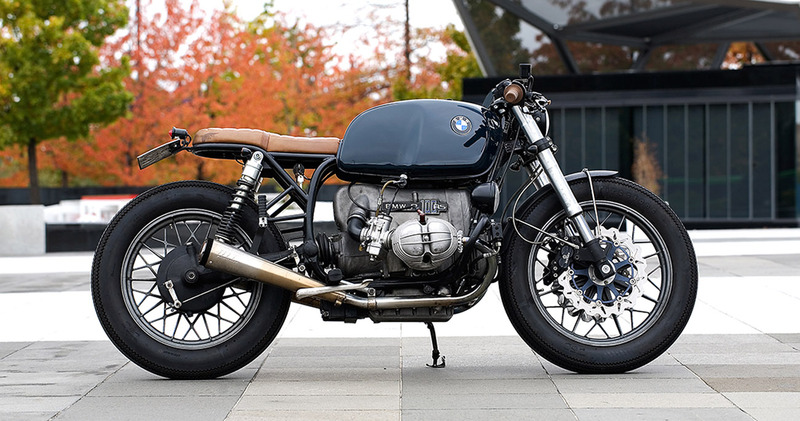 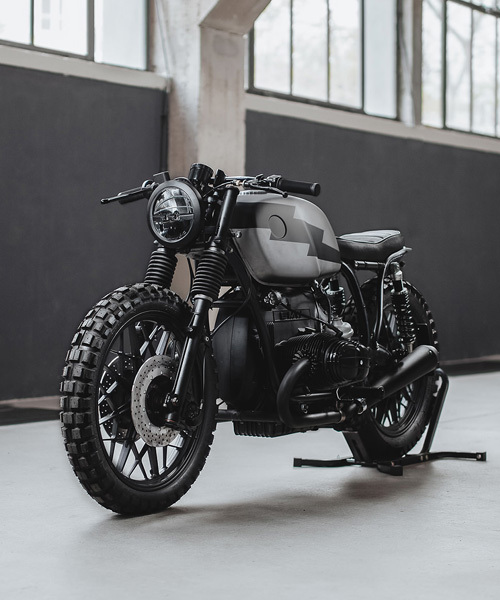 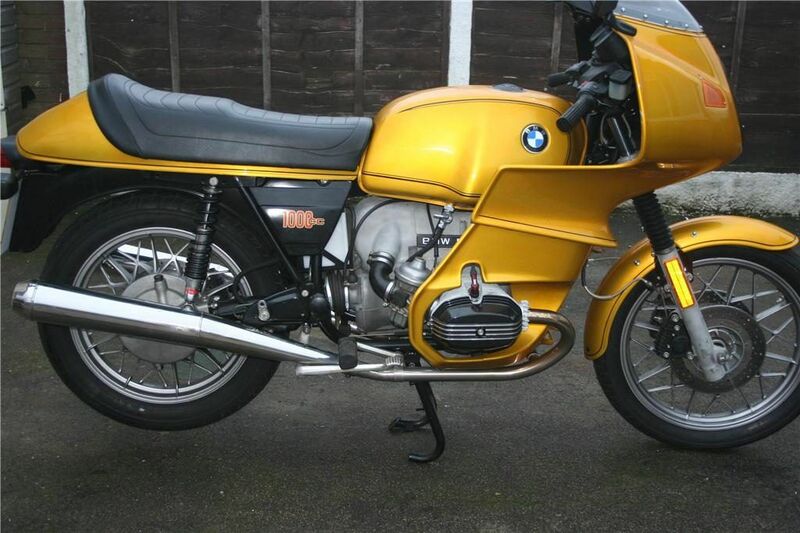 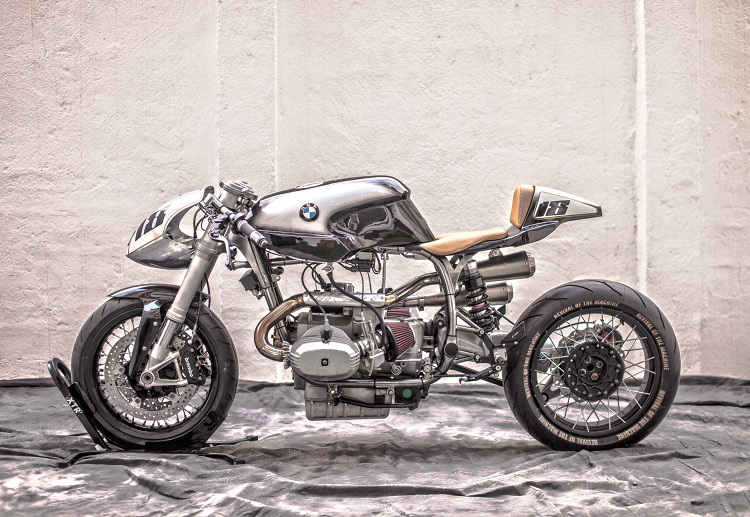 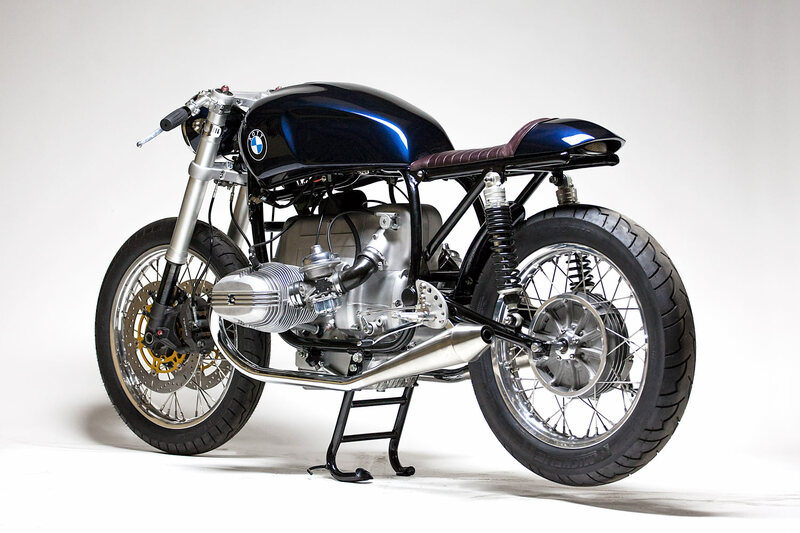 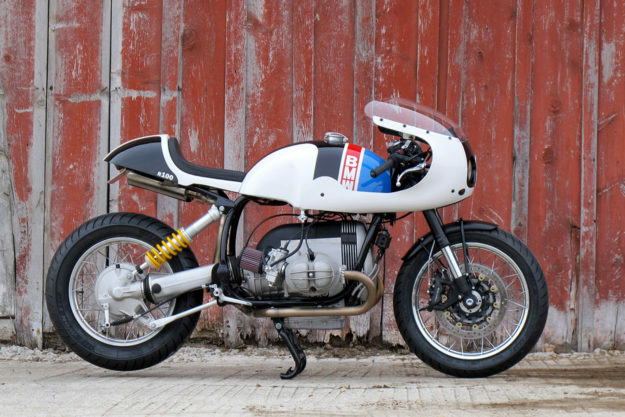 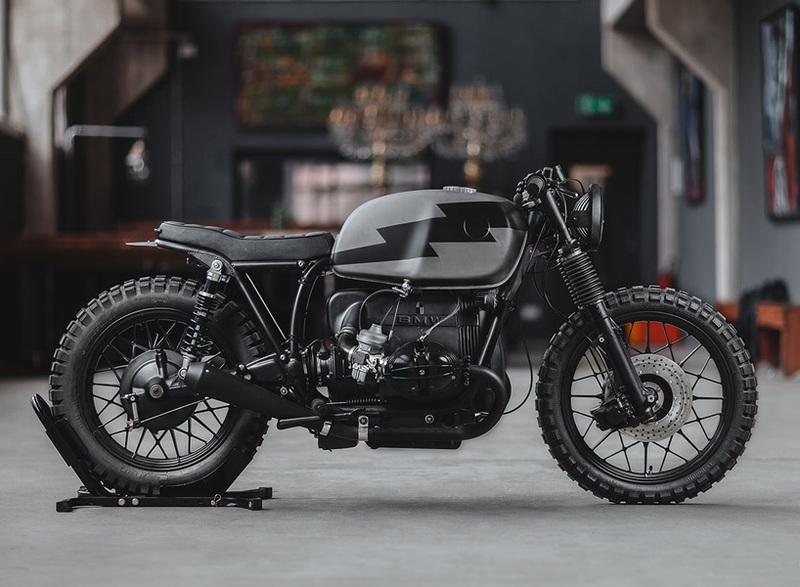 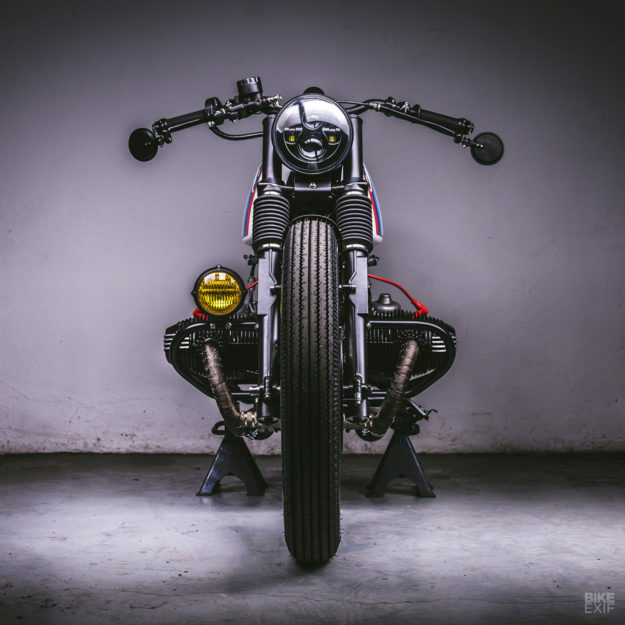 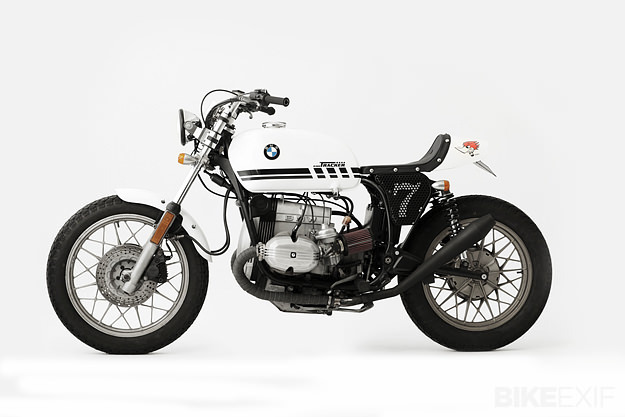 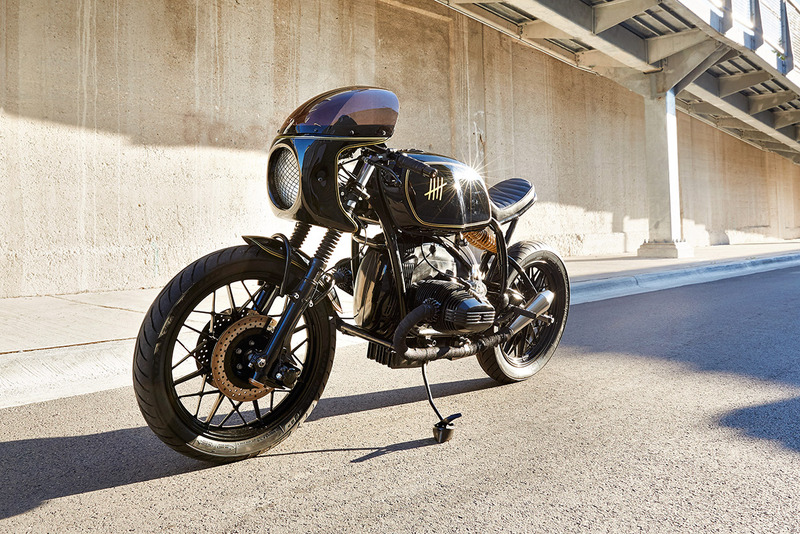 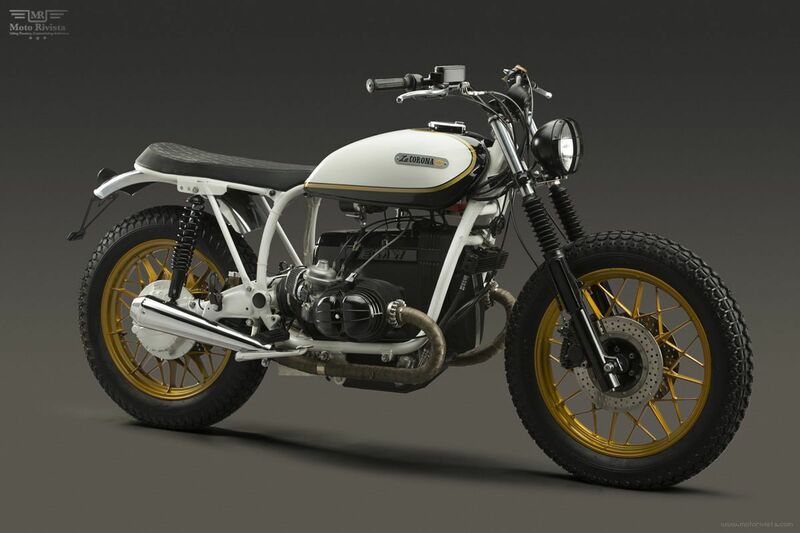 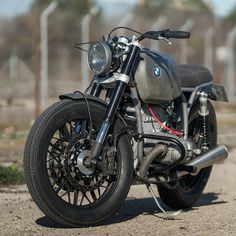 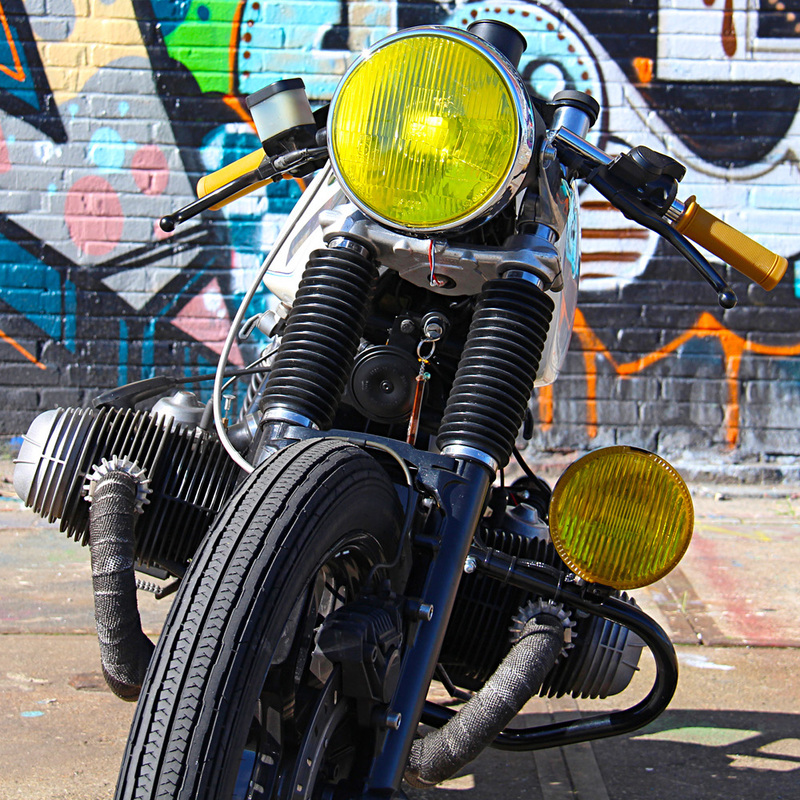 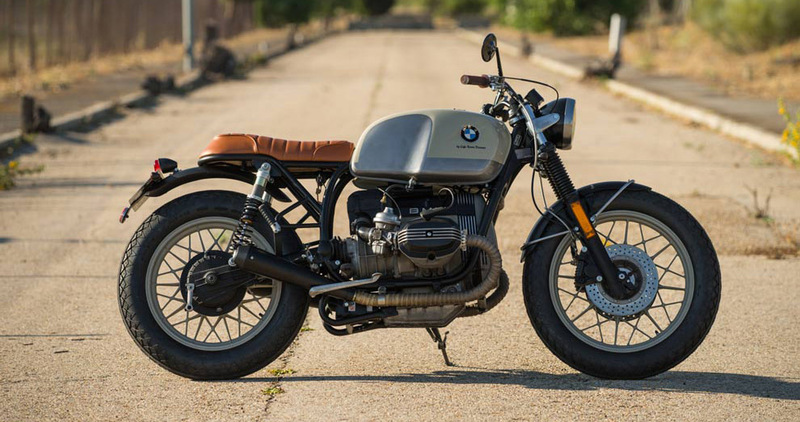 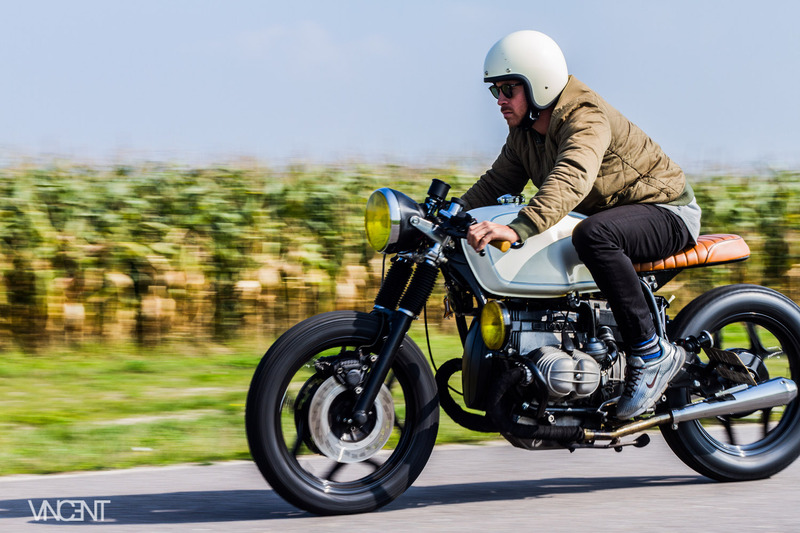 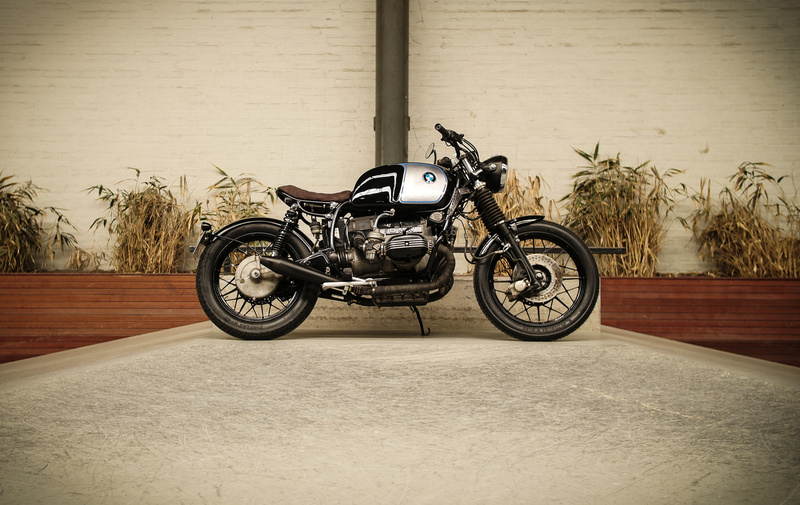 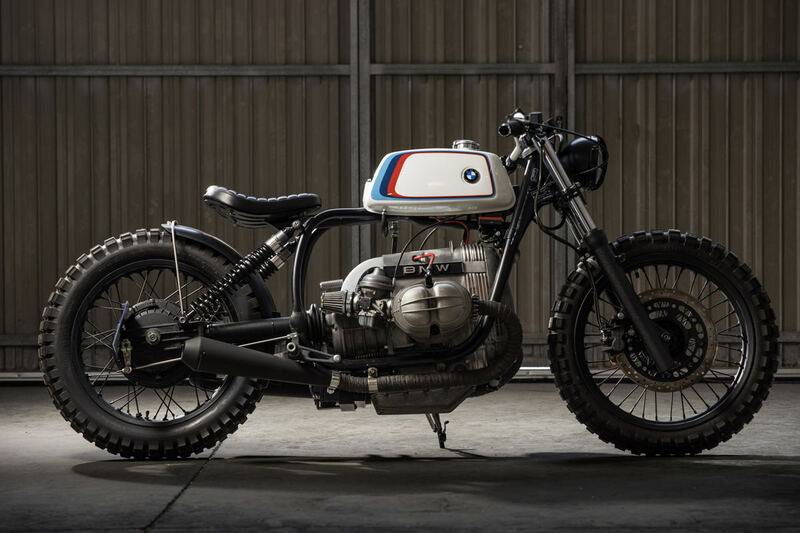 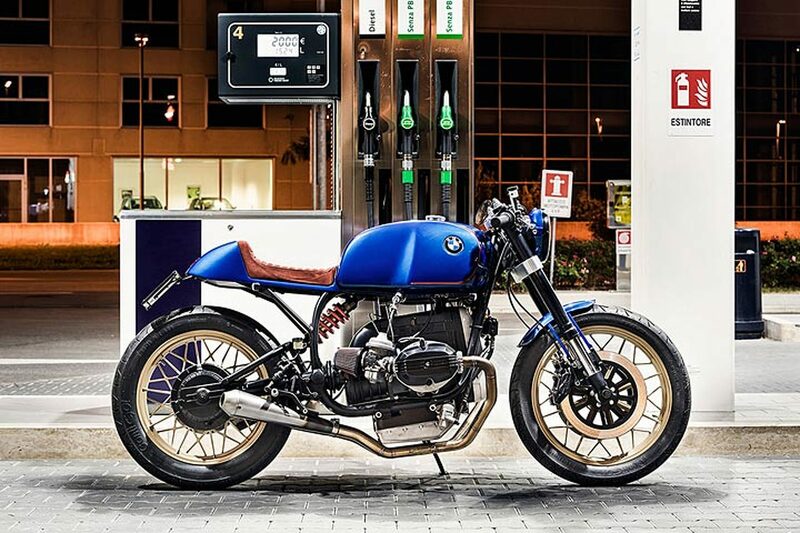 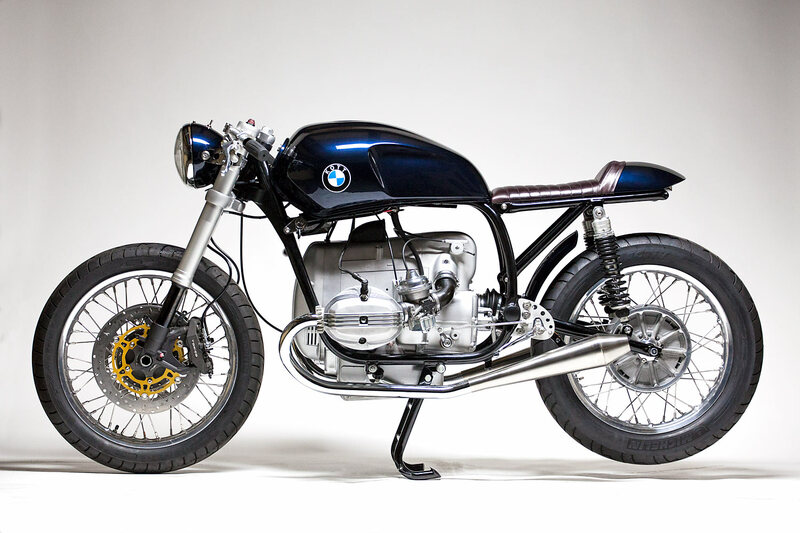 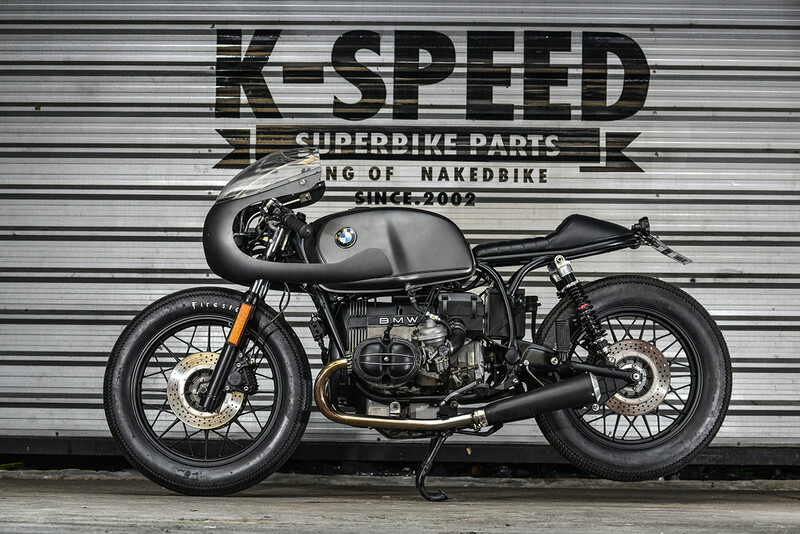 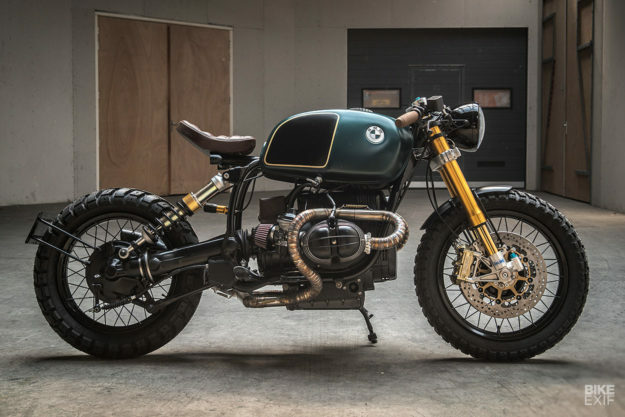 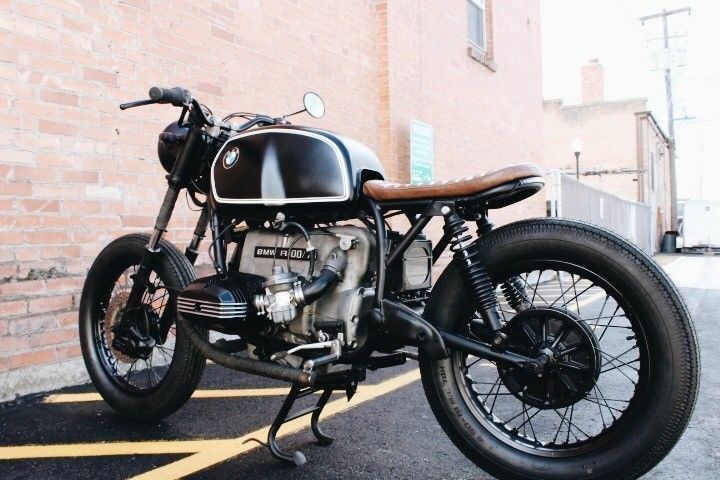 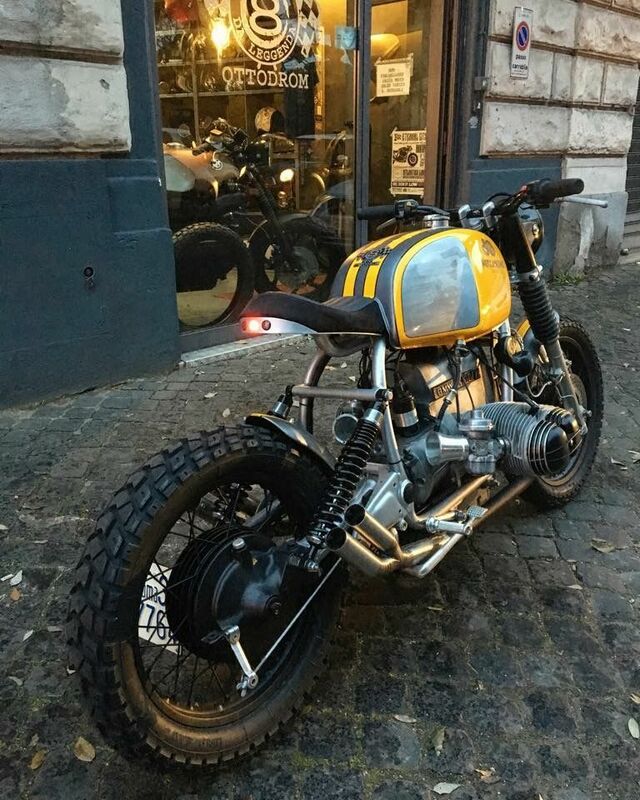 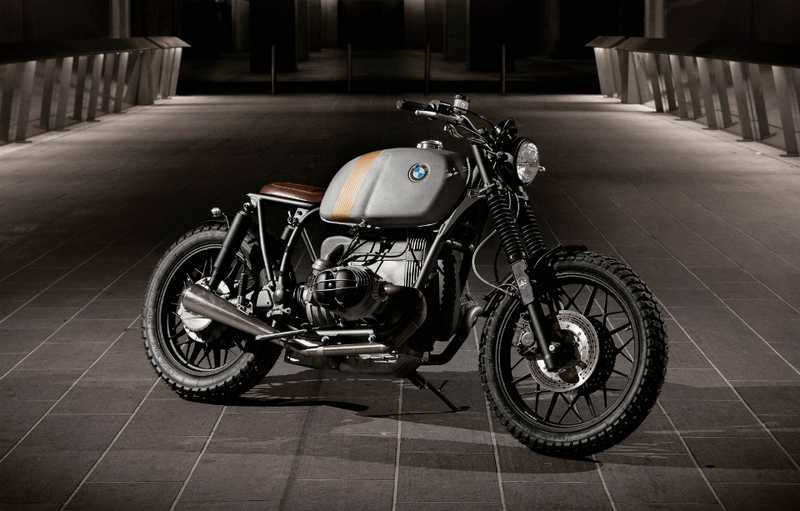 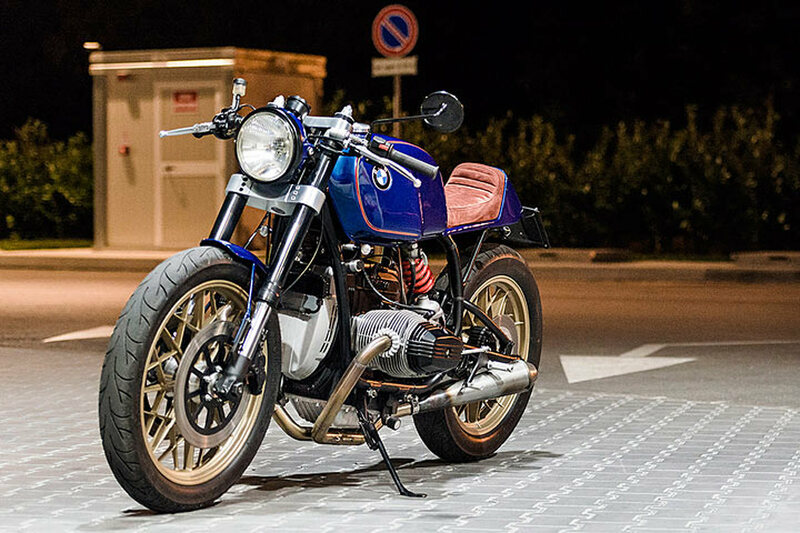 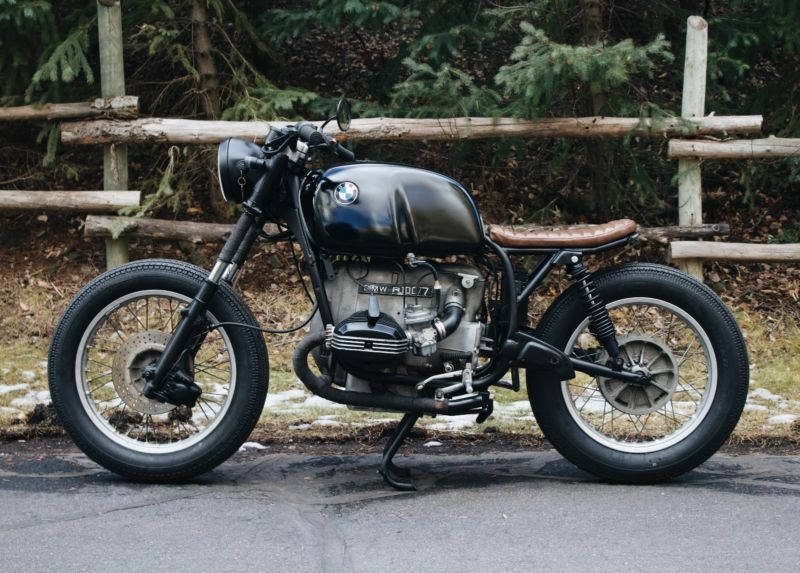 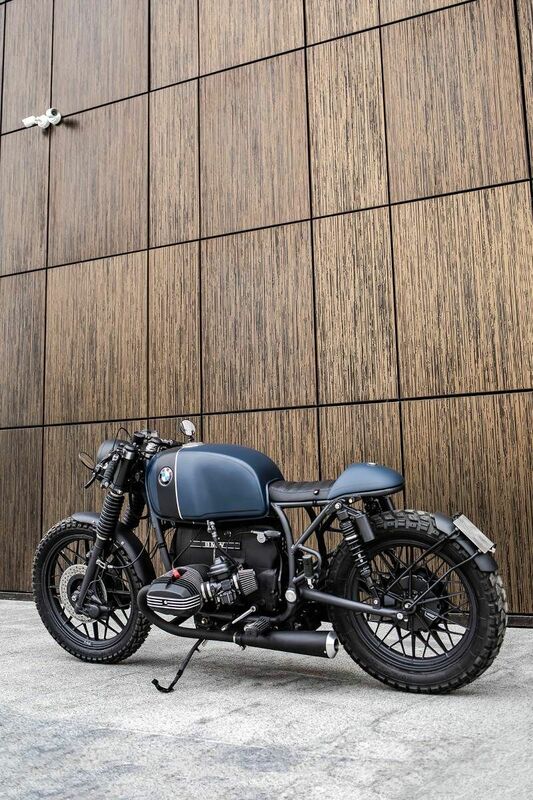 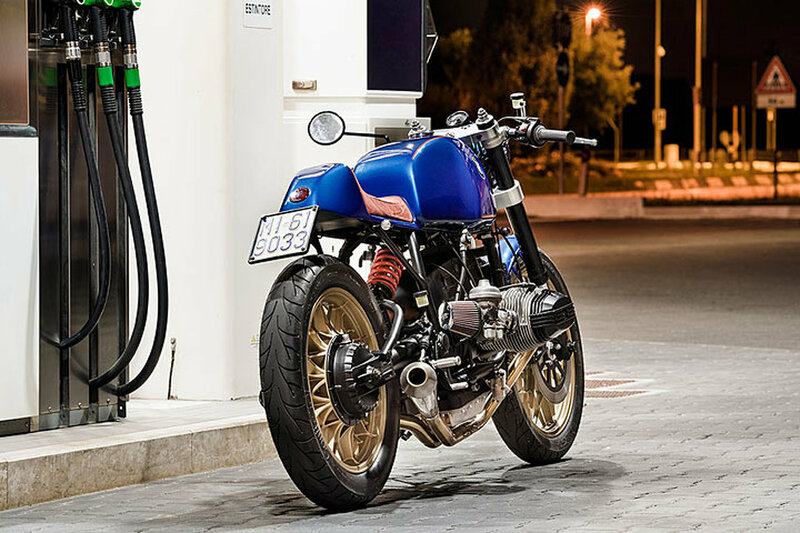 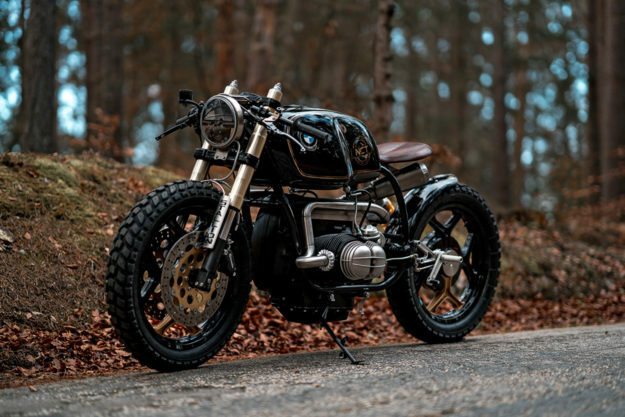 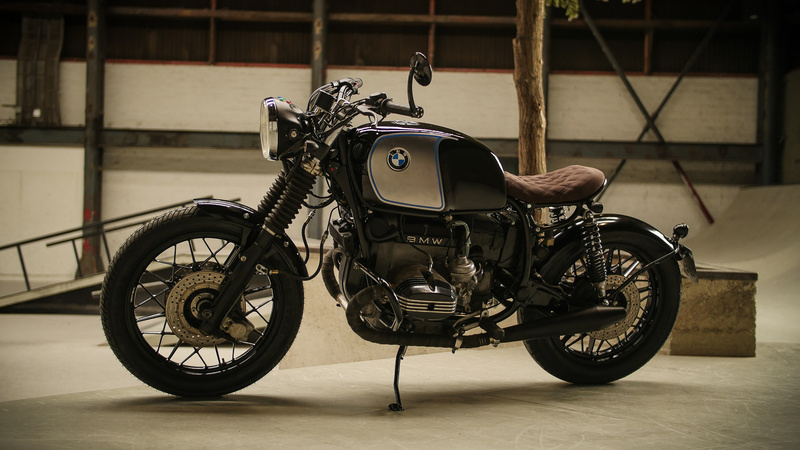 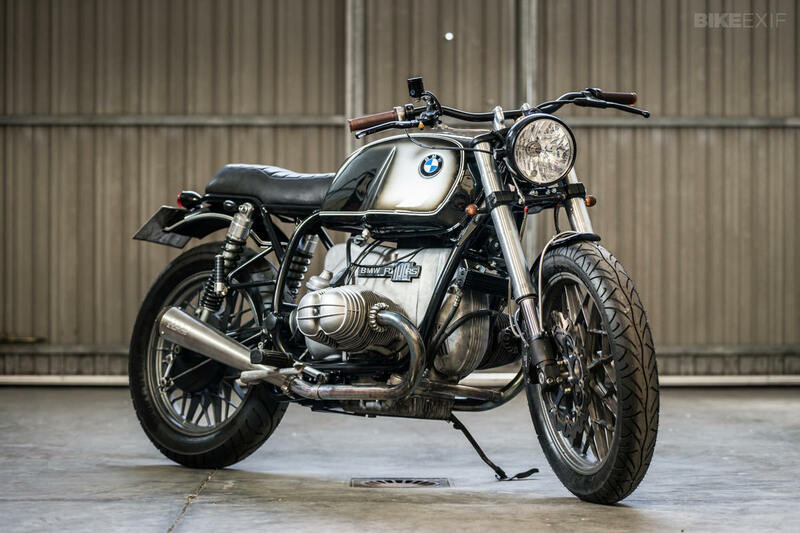 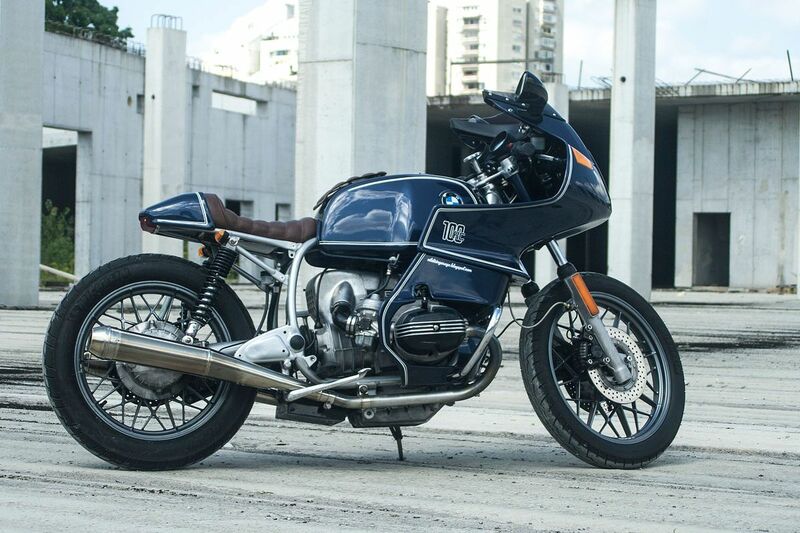 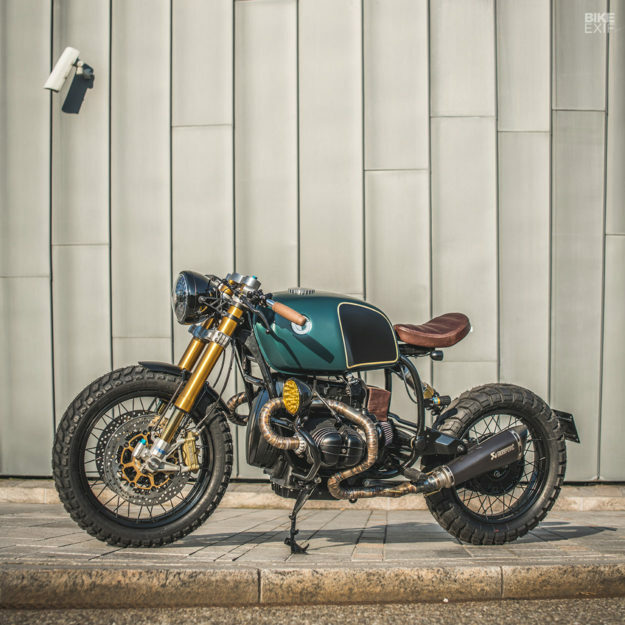 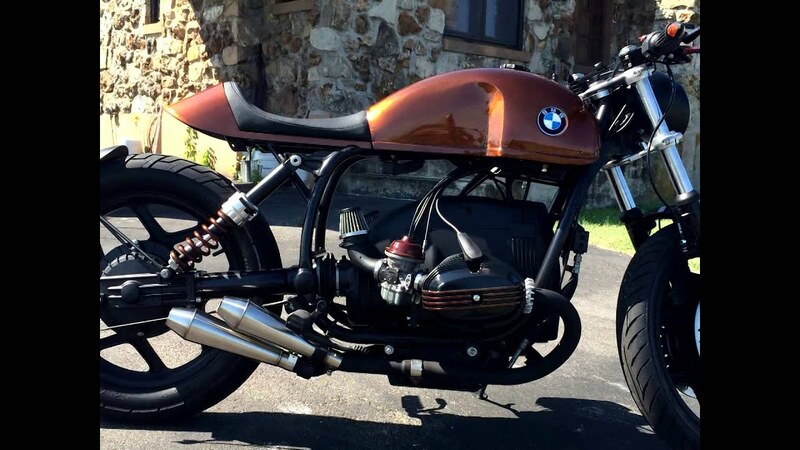 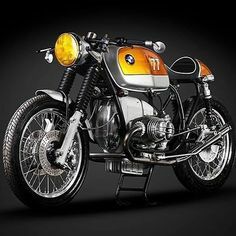 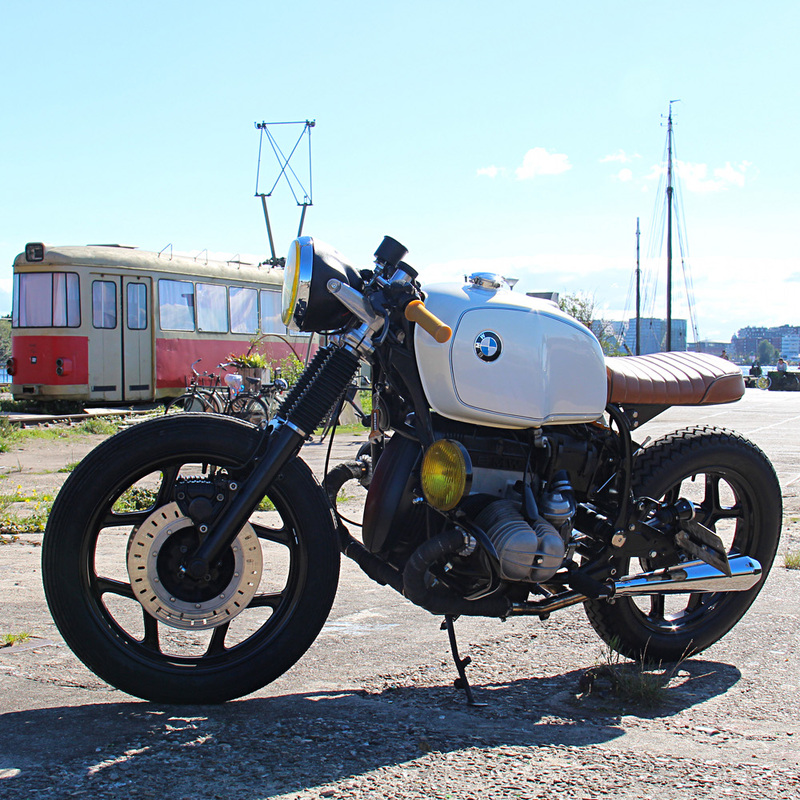 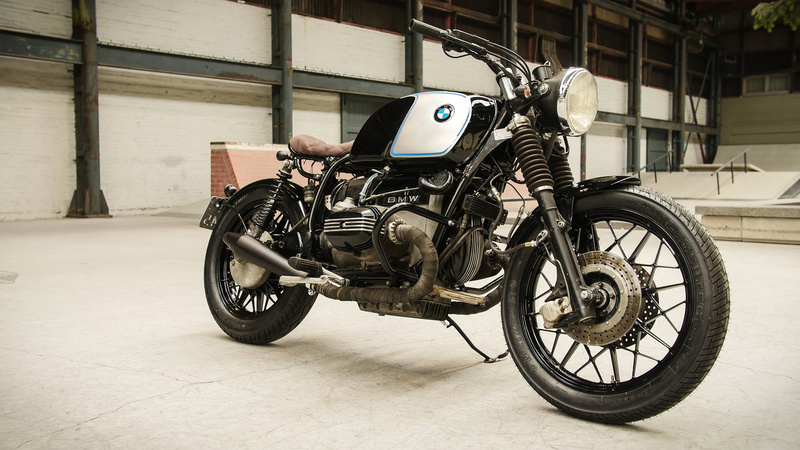 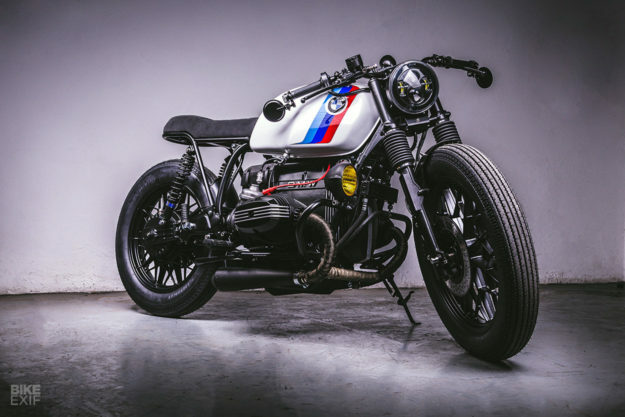 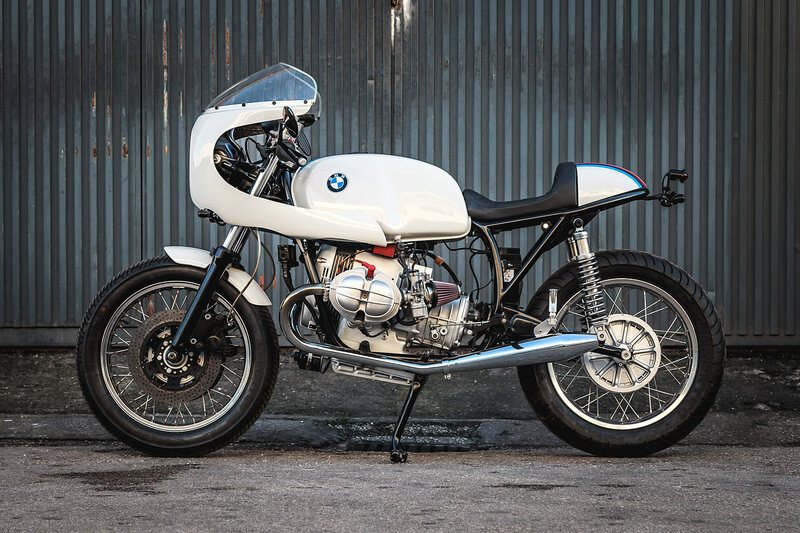 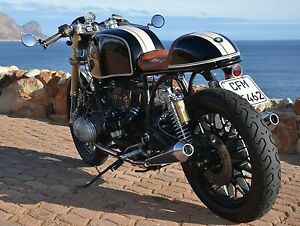 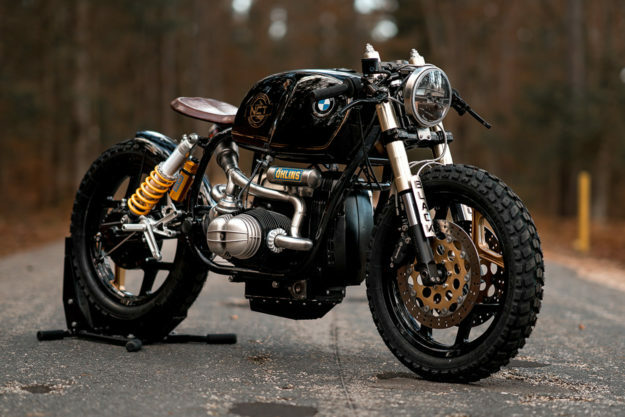 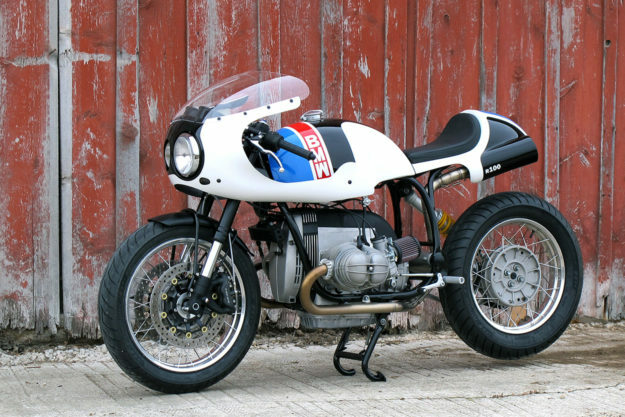 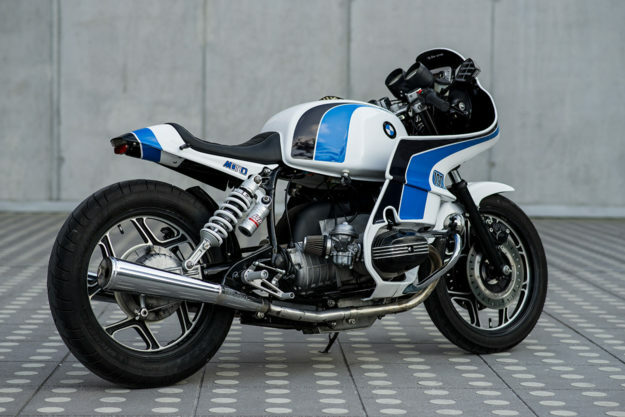 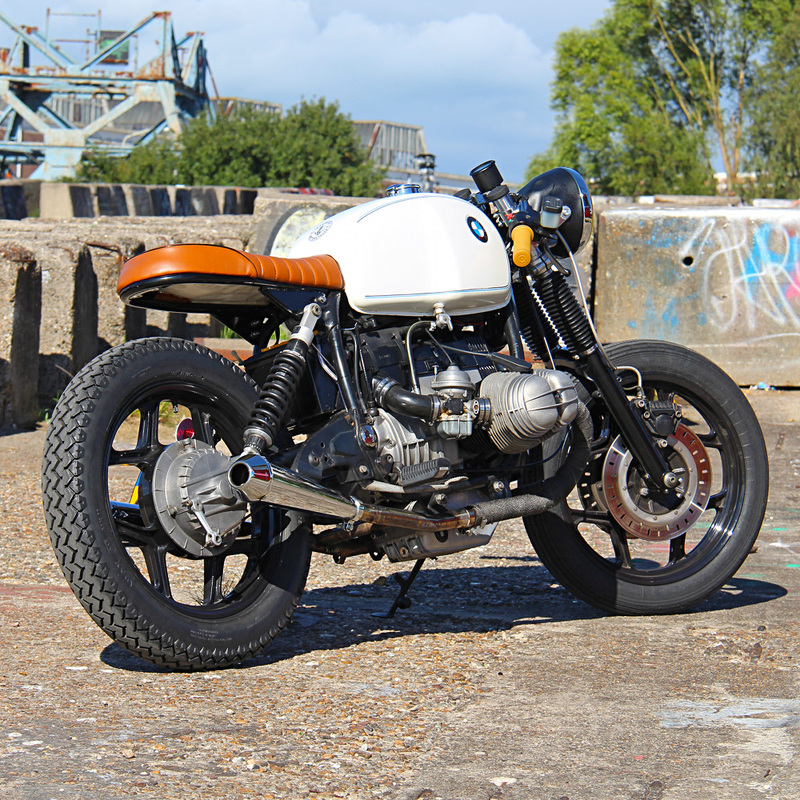 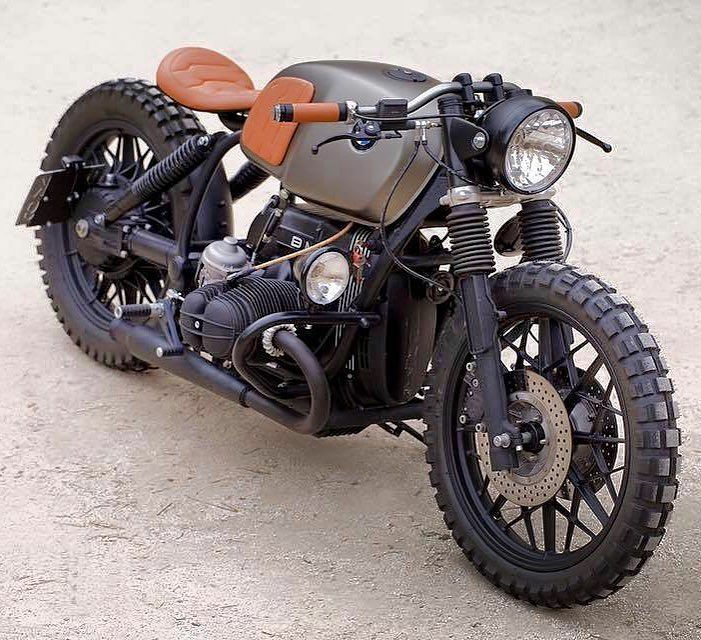 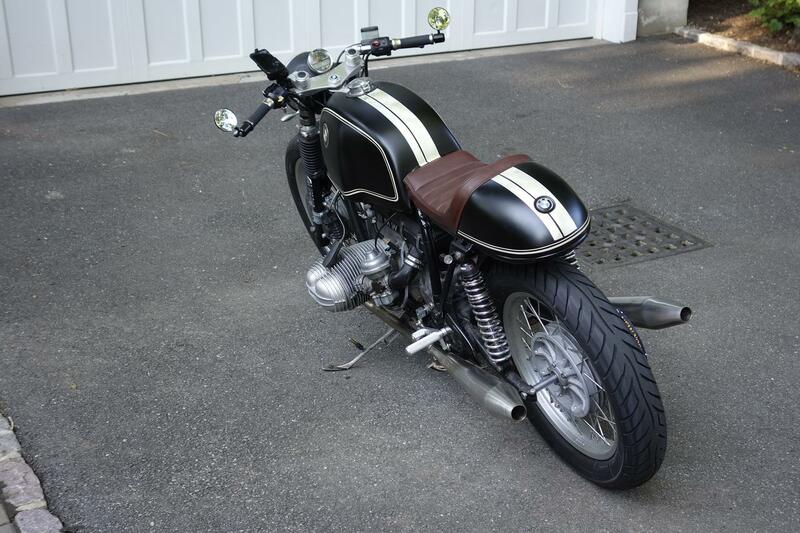 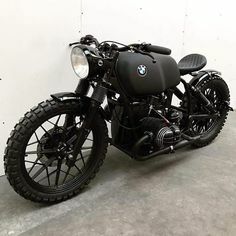 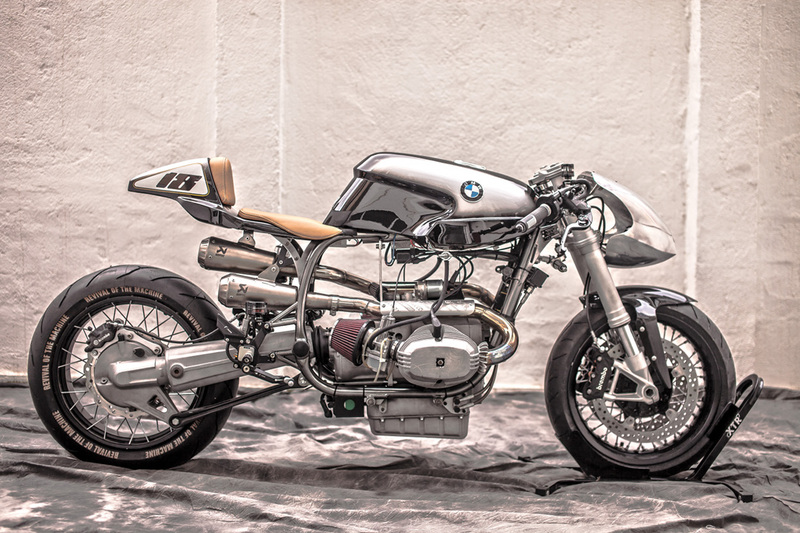 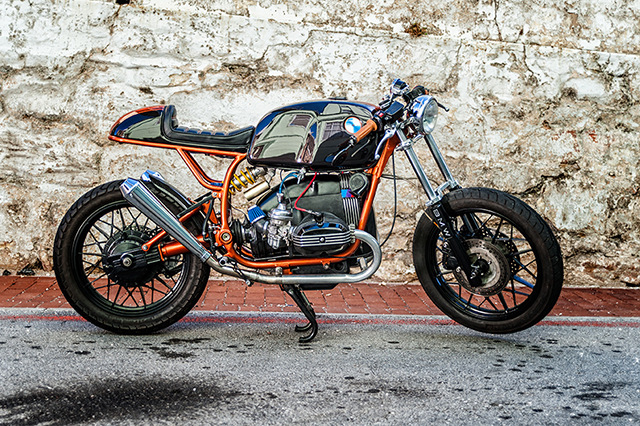 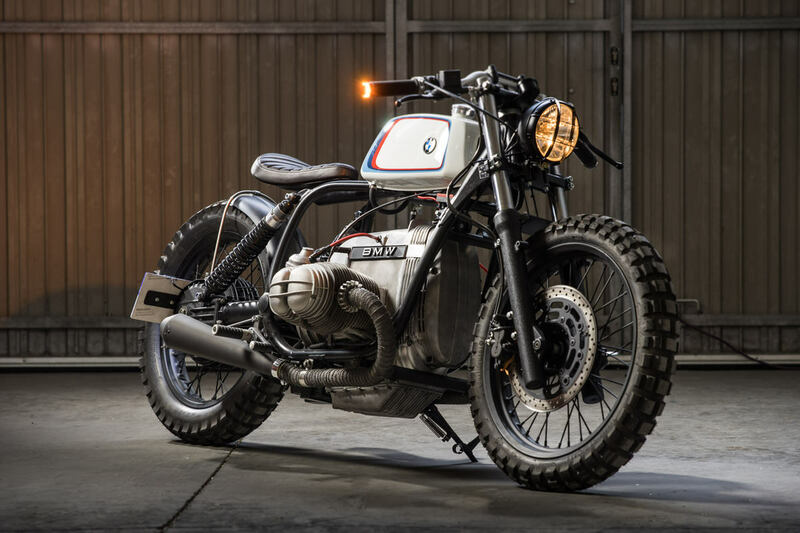 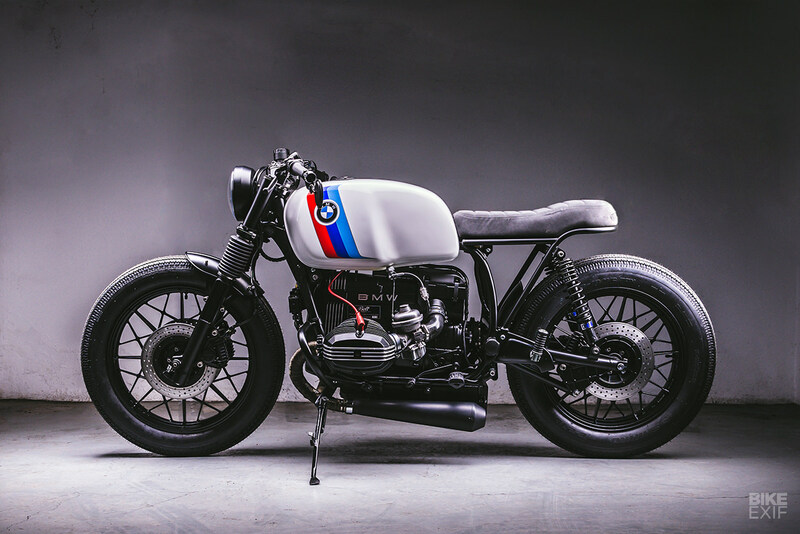 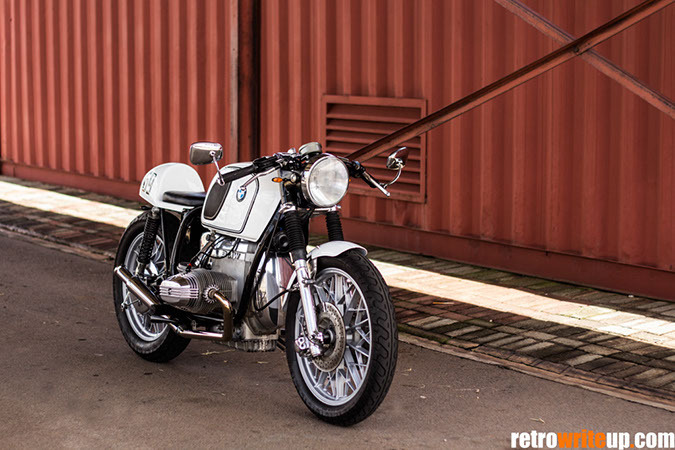 BMW R100 RS 1983 Cafe Racer (R90. 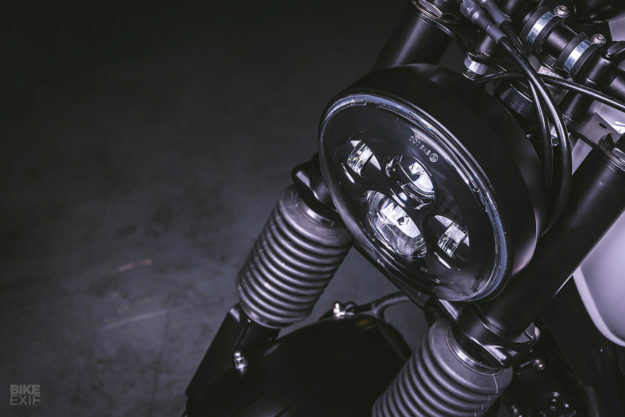 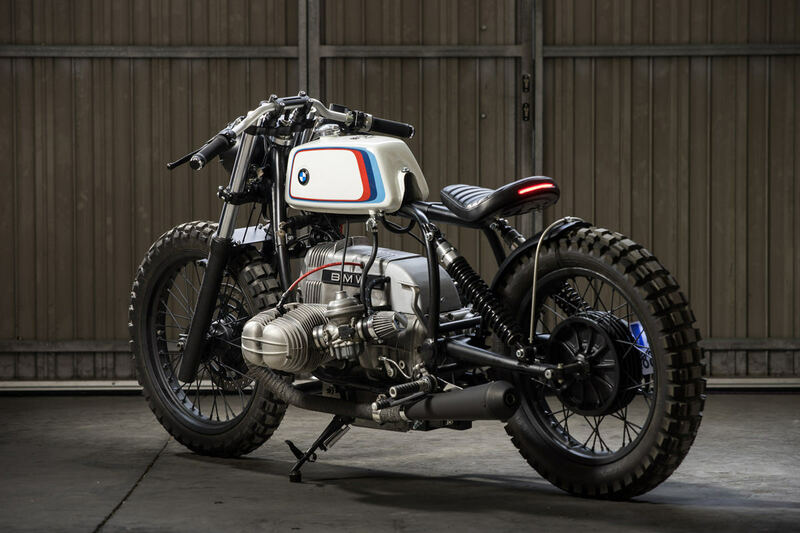 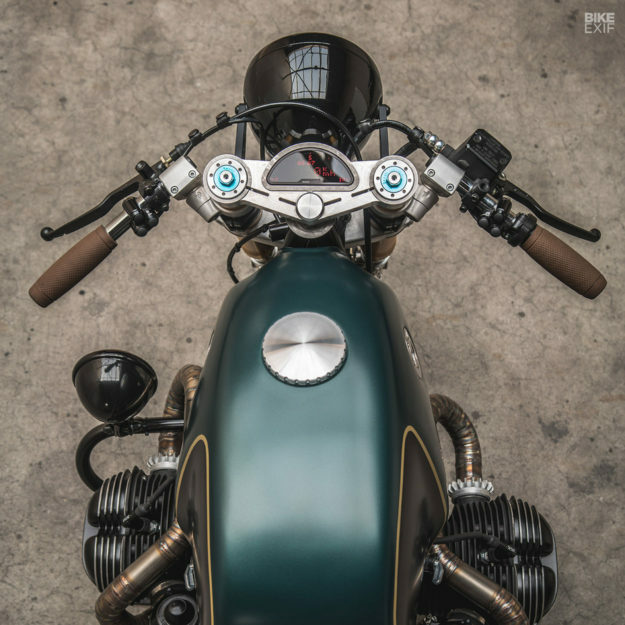 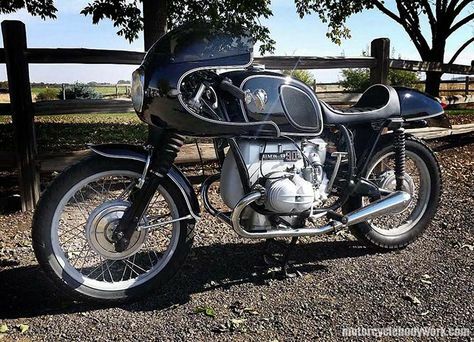 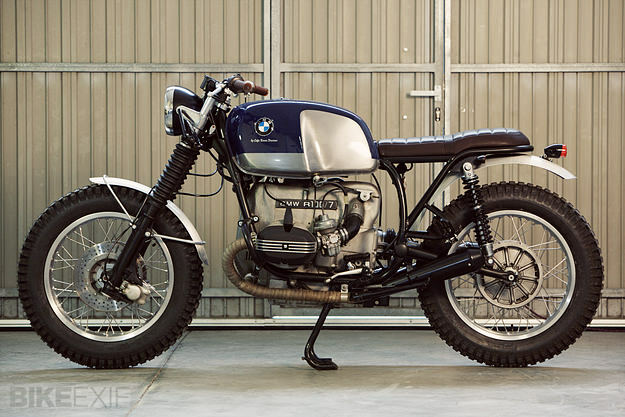 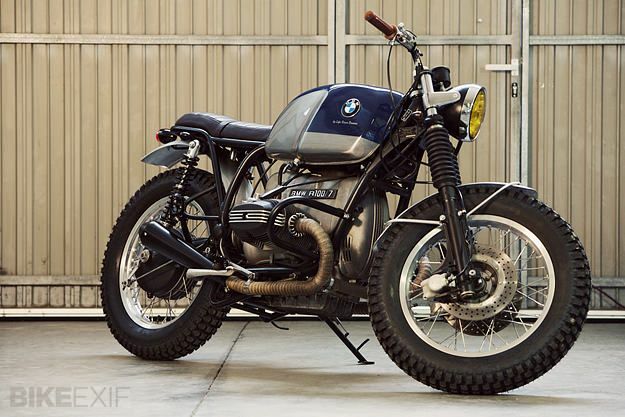 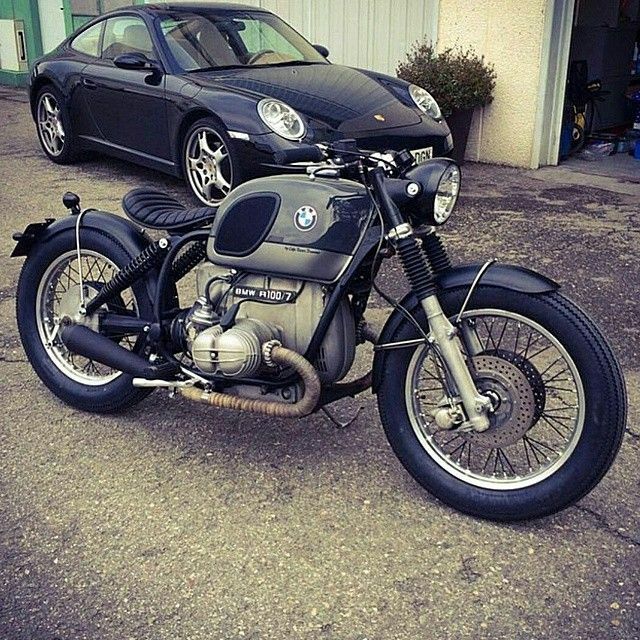 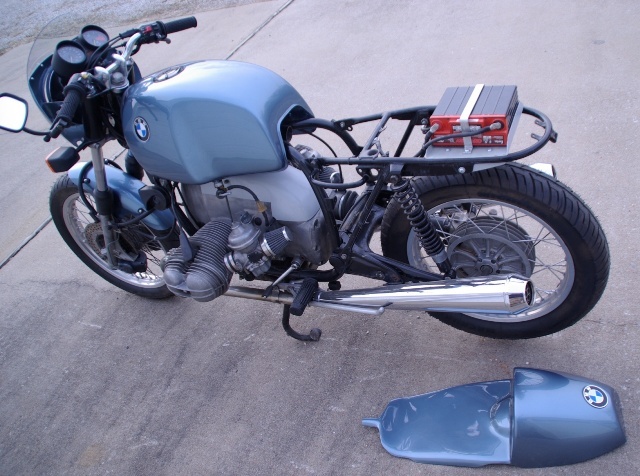 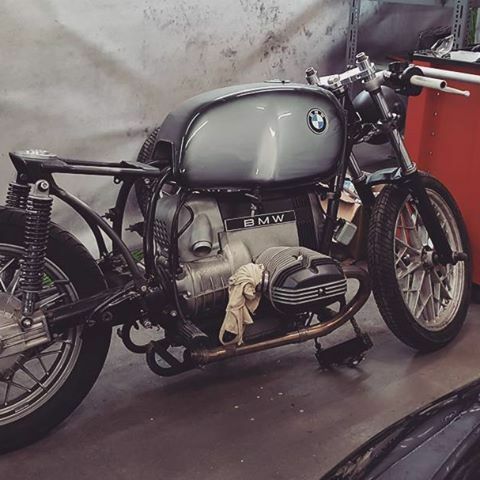 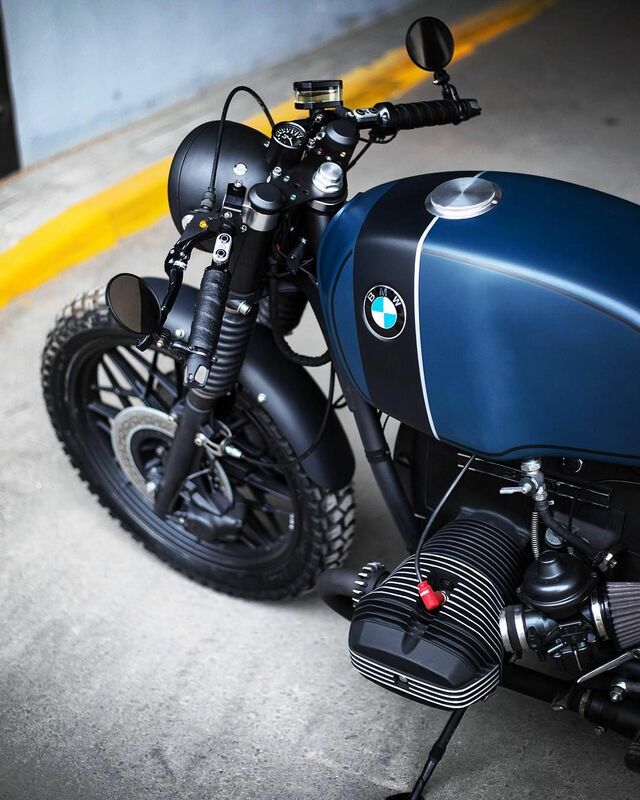 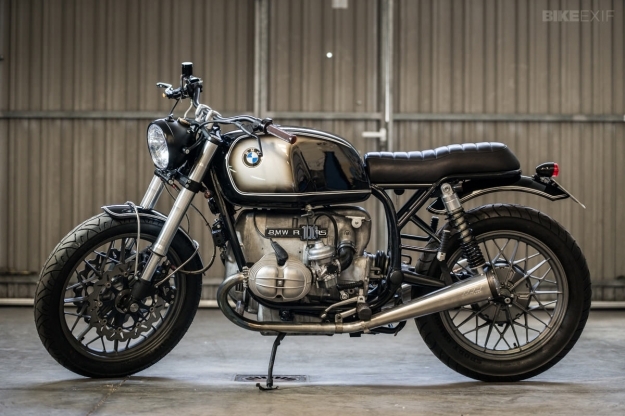 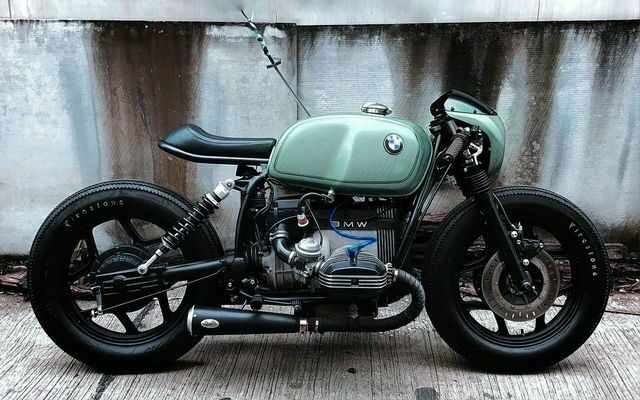 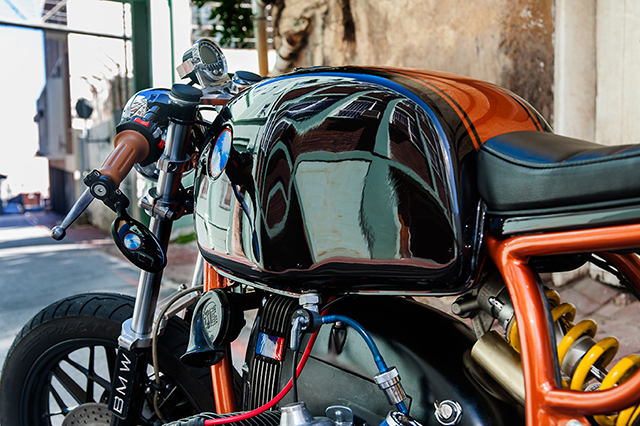 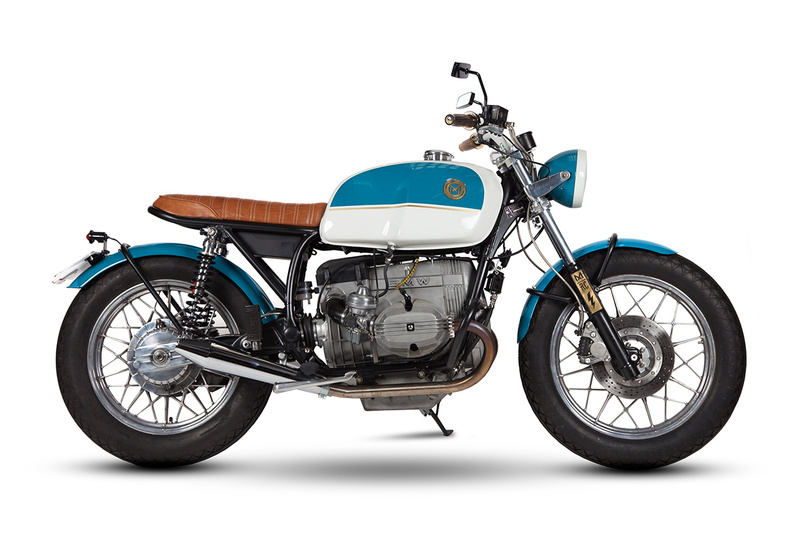 R80, R60) - Classic BMW Airhead. 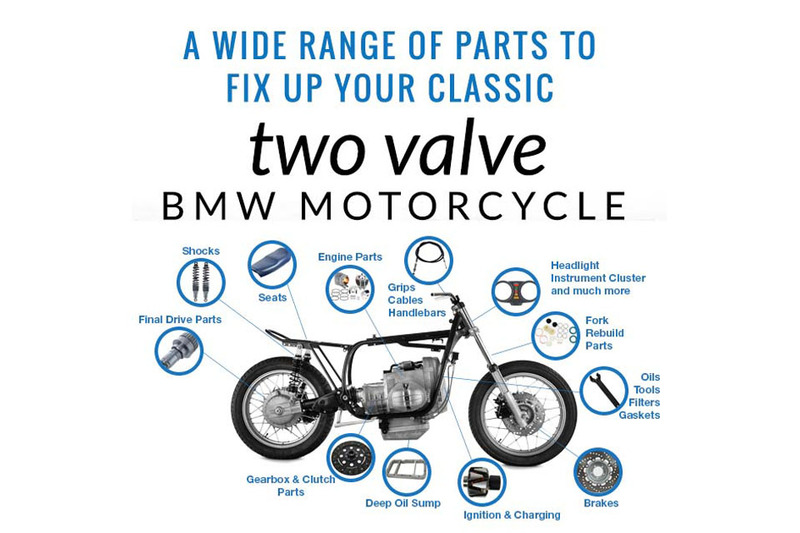 Up front are the forks, front hub and brake disc from a 1994 BMW F650. 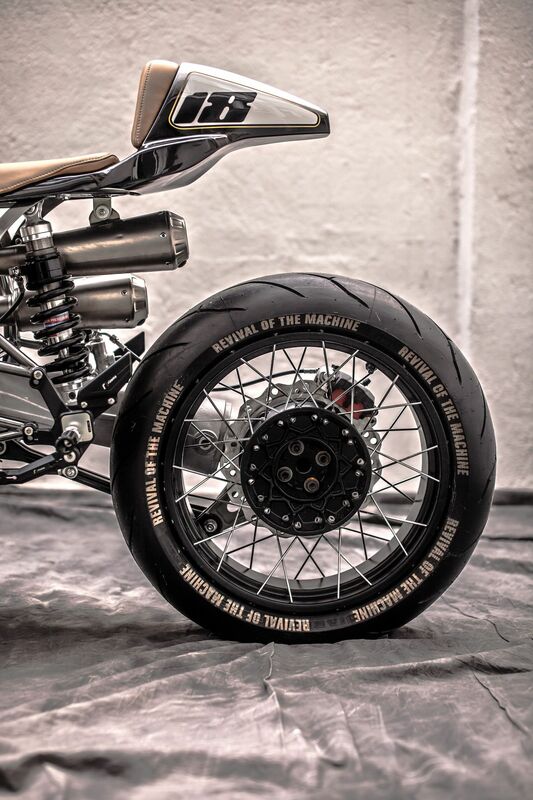 The hub's laced to a 19” rim, matched to an 18″ spoked setup at the rear.